You finally bought the RV of your dreams and are ready for some serious time away from your stationary home. So how much do you plan to pay for camping? If you plan on staying in commercial campgrounds every night shelling out the full nightly rate, you’ll be paying more than you should. When we first began traveling in an RV we moved frequently, often daily, and stayed in commercial campgrounds almost every night. Needless to say, we paid dearly in camping fees. That was before we found out about the system and, more importantly, how to make it work for us. The system we discovered is the often misunderstood maze of campground memberships and discount camping programs. This system can be divided into three sometimes intertwined and overlapping categories: campground systems, campground associations/affiliates and discount networks. These camp-for-less programs are not one-size-fits-all. No one program or combination of programs can be considered the best choice for every RVer. The derived benefits depend on each camper’s travel pattern and projected usage. The more you use a program, the more benefits you realize. Evaluating camp-for-less programs is often difficult. It is important before you buy to analyze each type independently and fully understand how it will benefit your particular camping style to determine if you’ll save money in the long run. 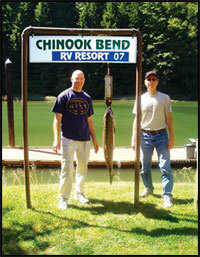 A campground system is a group of campground properties owned and operated by a single company. RVers who become members pay a one-time charge to buy into the system and, in most cases, annual dues. These dues typically entitle the member to a specific number of free nights in the system, after which there is a nominal nightly charge. Length of stay generally is restricted to two to three consecutive weeks and often, but not always, the member must be out of the system for a week before again staying at a system campground. The buy-in fee for a campground-system membership typically runs thousands of dollars and the contracts often require the member to commit to paying the annual dues for a minimum number of years. For that reason these memberships are often advertised for sale at deep discount by individuals wanting to give up the membership before their dues-commitment period has expired. Campground-system resale memberships often are a bargain. It is important, however, that you fully understand the exact terms, benefits and restrictions of the particular membership plan you are considering. Throughout the years campground systems have sold a variety of membership plans, each slightly different; mostly different from the new memberships being sold today. A transfer fee may apply. Campground systems range in size from those with just a few regional properties to nationwide systems with campgrounds from coast to coast. 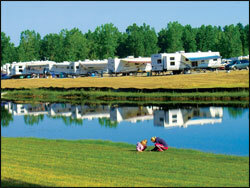 Thousand Trails and Western Horizon Resorts are examples of nationwide membership-campground systems. The companies own the parks (preserves) and resorts in their particular system. So how do you know if buying into a campground system is right for you? First, you need to understand your own needs and how they match the benefits offered through membership. Before you begin crunching the numbers, review where the system campgrounds are located. To be happy with your membership the campgrounds should be in areas where you want to spend time, or you’ll find yourself letting the locations of the system parks dictate where you travel just to get your money’s worth. Once you determine that the system meets your needs, do the math. 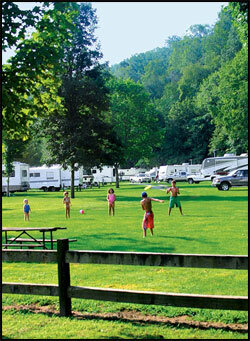 Some campground systems offer the option of paying a one-time buy-in fee and never having to pay annual dues. Most systems, however, charge a buy-in fee plus annual dues. To determine the financial advantage of buying into a system first estimate the number of nights you think you will stay at the system’s campgrounds throughout the year. This is the starting point. Then combine the annual dues, if any, and any cost for additional nights over the number covered by the dues. Now annualize the buy-in cost of the membership over the life of the contract — the time you have committed to keep paying annual dues — or, if you pay no annual dues, the number of years you anticipate using the membership. If you paid $5,000 for the membership and signed a 10-year contract, the annualized buy-in cost is $500. To complete the calculation divide the annual dues, additional nightly cost and annualized buy-in cost by the number of nights you previously estimated you would stay at the system’s campgrounds during the year. This gives you the average nightly cost of membership. Now calculate the cost for the same number of nights at nonmembership commercial parks and compare with the average nightly cost to see if the membership is financially advantageous for you. Keep in mind, there typically are other member benefits at system campgrounds. Most allow day use of the facilities, even if you are not staying there, and many have rental units where members’ guests can stay and/or rent park models or cabins. The downside of campground-system membership is the initial cost, possible long-term contracts and the potential for the system to become insolvent. Campground associations/affiliates are different from membership campground systems: The properties are individually and independently owned, but are affiliated with the association. The association enters into agreements with these independent membership park owners that permits association members to use the facilities. Thus, you are really buying into a nationwide system much like with a campground system. 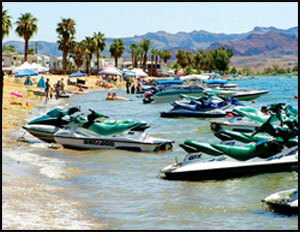 RVers pay a membership fee to join the association plus annual dues. This permits members to stay in association-affiliated campgrounds at a predetermined, discounted (sometimes no charge) nightly rate. Each property typically sets aside a specific number of spaces for association-member use; once those sites are reserved or in use association members may be turned away or pay the commercial rate. Length and frequency-of-stay restrictions generally apply as well. To join an association you must be a member of a private membership home park that is affiliated with the association. Association members have access to a network of independently owned affiliated membership campgrounds across the country. Coast to Coast, Resort Parks International, Adventure Outdoor Resorts and Resorts of Distinction are examples of campground associations. To determine if an association membership is right for you, first look at the locations of the affiliated campgrounds; make sure they are located where you want to travel. Work the numbers by estimating the number of nights you would spend in association campgrounds, multiply by the discounted rate, add the home-park annual fee and annualize the buy-in cost. Then divide by the estimated number of nights you’ll use. Compare that discounted nightly cost to the nondiscounted rate for the same number of nights. Remember to adjust for inflation, as rates at open-to-the-public campgrounds will continue to increase, while one of the advantages of membership camping is that you “lock in” to today’s rate and thus create a hedge against inflation. Keep in mind that you may not have access to the associated campgrounds unless you are a member of the association, because most are private membership parks. 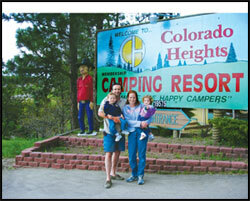 Many campground-system parks are affiliated with one or more campground associations. Discount networks provide members a reduced nightly rate — often 50 percent of the published rate — at a vast network of RV parks nationwide. Membership is open to the public or club members, generally in exchange for nominal annual dues. The number of campgrounds available to members varies by network and changes periodically. Like campground associations/affiliates, discount camping networks do not own the parks in the network; they negotiate agreements that allow their members to use these campgrounds at a lower rate than paid by nonnetwork campers. The discount network may or may not allow advance reservations; often your stay is on a space-available basis and typically the length of stay is restricted. There can also be restricted access to discounts during high seasons and holidays. Discount network memberships are good for people who travel a lot and move frequently. Generally there is no buy-in fee and annual dues are reasonable. 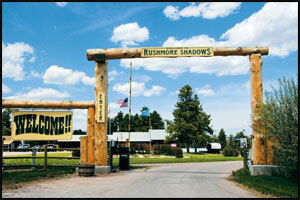 They typically provide access to several-hundred or more campgrounds across the country. 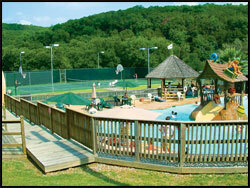 Camp Club USA and Passport America are examples of discount camping networks. To crunch the numbers, estimate how many nights you’ll stay in network parks, multiply by the discounted rate; add in the annual dues and divide by the same number of nights. To determine if it is financially advantageous to join, multiply that same number of nights by the nonnetwork rate and compare your findings. A discount network is the least expensive option for reducing camping cost and you need only commit for one year at a time; so if it doesn’t work out the most you can lose is the cost of one year’s membership. Adventure Outdoor Resorts, (800) 934-3443, www.aorcamping.com. Coast to Coast, (800) 368-5721, www.coastresorts.com. Enjoy America, (800) 635-8498, www.resortparks.com/enjoy.php. Happy Camper, (866) 677-6453, www.camphalfprice.com. Passport America, (800) 681-6810, www.passportamerica.com. Recreation USA, (850) 537-9641, www.campingandcampgrounds.com. Resorts of Distinction, (800) 720-7633, www.resortsofdistinction.com. Thousand Trails Resorts, (800) 205-0606, www.thousandtrails.com. Western Horizon Resorts, (970) 642-4515, www.whresorts.com.